Below are a few different ways you can invite other people to join a Highfive video call. The most common way to invite someone to a Highfive conference is via a calendar invite. See "Schedule A Highfive Meeting" for details on how this works. To invite someone to join you in a conference, simply share the conference link with them (e.g. https://YourCompanyDomain.highfive.com/staff-meeting). This is akin to inviting someone to your home by providing them with your street address. If the address is correct, they will be able to navigate there successfully. When you are in a conference, you may invite others to join you by clicking on the Plus icon at the top of your window (+). A flyout panel will appear, giving you a few different ways to invite a participant. Enter in your target participant's email address. 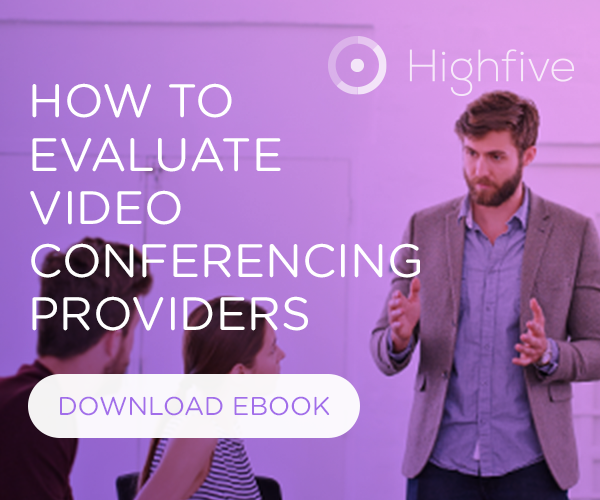 When you click on Send Invite, Highfive will send a conference invitation to the designated address, and all the recipient has to do is click on the Join video meeting button at the bottom of the invite to join the conference. Alternatively, if you click on the copy invite link, Highfive will copy the link to your clipboard, and you can paste the link into an email, IM, social post, etc.